Rev. Greta is an ordained Minister at Agape International Spiritual Center and at Centers for Spiritual Living. A popular pulpit speaker and faculty member at the Agape University of Transformational Studies and Leadership, Greta has been active in the Agape Music and Arts Ministry, the Agape International Choir and the Agape Community Relations Ministry. She is the author of the Agape eBulletin which reaches thousands of online subscribers. The energy of the Divine Feminine is a powerful anchor for Greta’s work in the world. She was anointed with the name “Sesheta” in a Kemetic Study Group in honor of the ancient Egyptian goddess of writing and record keeping in 1993. Greta was the publicist for the 1998 launch of “A Season for NonViolence,” the 64-day international campaign that honored the work of Mahatma Gandhi and Rev. Martin Luther King, Jr., and has co-produced the Soul Sisters Women’s Retreat since 1999. Greta has facilitated breakout groups at Agape’s annual Revelation Conferences, led workshops and created sacred ceremonies and rites of passage for both individuals and organizations. Greta has a master’s degree in Fine Arts from UCLA and a master’s of Consciousness Studies from the Holmes Institute. 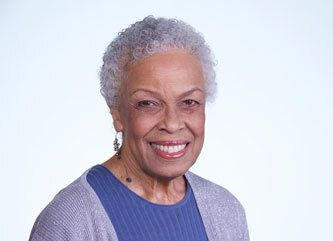 She is former Assistant Dean of both Holmes Institute School of Consciousness Studies and Agape University. In addition to her teaching and spiritual work, Greta often appears as an actress in movies, commercials and television series including roles on Grey’s Anatomy, The Mindy Project and Law and Order, and as a model in national magazines, newspapers and on billboards. She was a featured spiritual expert in the TV show Starting Over and in the movie Beyond Belief. She is the proud mother of three wonderful daughters and has two granddaughters. Learn more about Greta at: www.revgreta.com.